Indian electric pressure cooker books are so popular that even Knopf Doubleday — a publishing house not generally known for appliance cookbooks — is releasing one by the renowned author and actor Madhur Jaffrey: “Madhur Jaffrey’s Essential Indian Instant Pot Cookbook” (coming in May 2019). Ms. Jaffrey had never used an electric pressure cooker before writing the book, but, like most cooks from India, where the Instant Pot has not officially been rolled out, she was well versed in the whistling stovetop kind. For example, a typical recipe for rajma, spiced red kidney beans, will call for soaking the beans overnight, then cooking them for three or four whistles. In an electric pressure cooker, that translates to 30 minutes, no soaking. 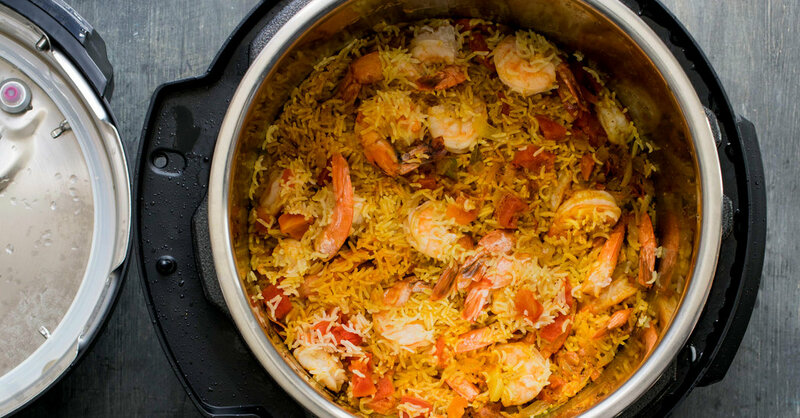 It took some trial and error to convert Ms. Jaffrey’s classic Indian recipes to an electric pressure cooker — even those she was already making in a stovetop model — and figure out which settings (pressure, steam, sauté, slow cook) worked best for each particular recipe.